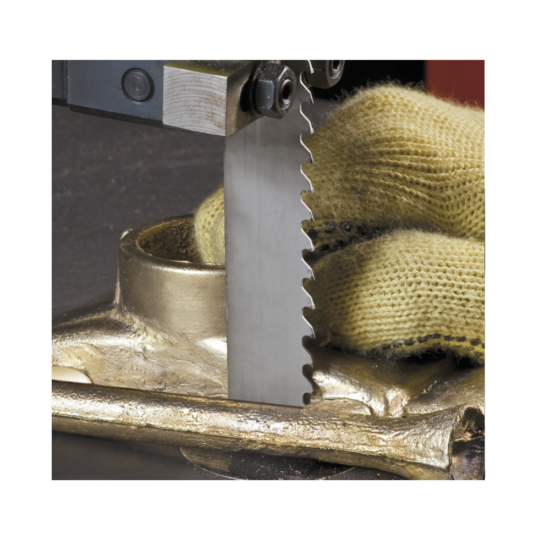 aluminum castings, fiberglass, masonite, plastics, composites and all woods including abrasive wood materials. 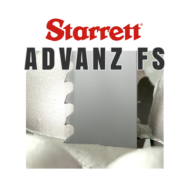 Starrett has created the Advanz FS Type I carbide tipped saw blade for cutting harder wood with teeth ground from high quality micro-grained carbide cylinders welded to a tough, ductile backing material. 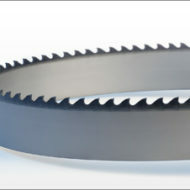 They have triple chip tooth geometry and improved carbide to back bonding. 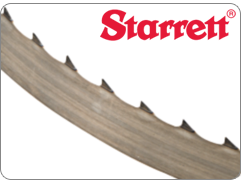 The blade is designed to resist fatigue, shock and wear, faster and provide a smooth finish. 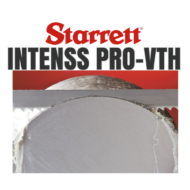 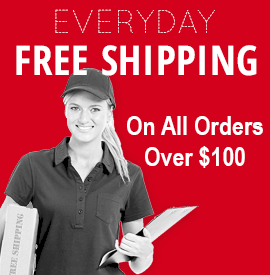 *Ideal for cutting aluminum castings, fiberglass, masonite, plastics, composite materials and abrasive wood. 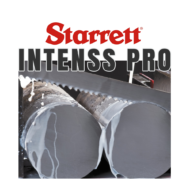 This blade will give a clean and precise cut on any hardwoods. 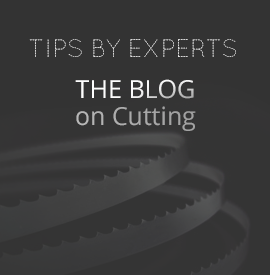 Upgrading your wood cutting band saw blade to the Carbide Tipped blade will provide smooth finish when cutting moldings, wood flooring, siding, paneling and other millwork applications. 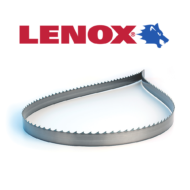 This band saw blade will work especially well with exotic woods that are known to be hard to cut.